It’s Derby Season! That glorious time of year when we start planning out the perfect track side outfit (centered around the biggest floppy hats we can get our hands on, obviously), try to finally perfect the necessary Mint Julep and suddenly get into horse racing. With the Kentucky Derby right around the corner (May 2nd), here are some ideas to make your guests feel like they’re in the VIP section at Churchill Downs. Add hints of horse culture like the Astroturf and Horseshoe weights to really help draw the theme together in an elevated way. Red Roses are the traditional choice of flower for the Kentucky Derby. Freshen the look up with some white or green hydrangeas and as a little extra credit to your attention to detail, place them in trophies as your vases. If you’re sticking with a Mint theme, pair some in season sunflowers to add a splash of color to your tablescape. Look no further than the Mint Julep. 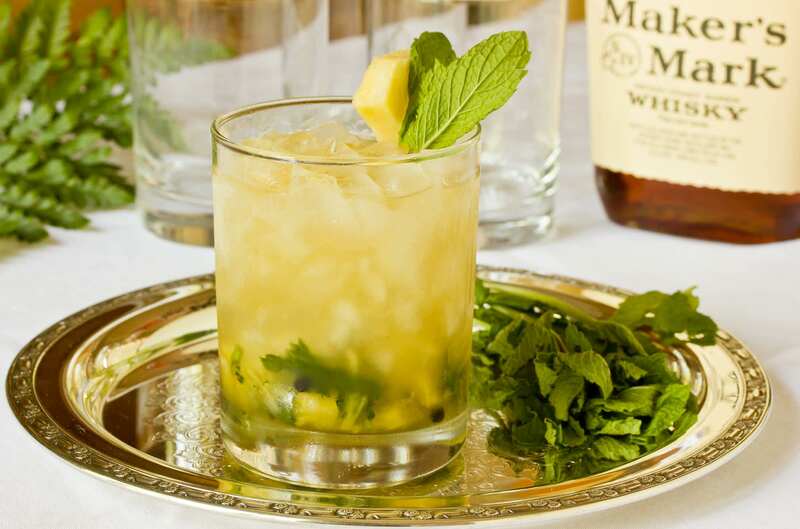 The official drink of the Kentucky Derby, try this recipe for an updated take on this classic. With pineapple chunks, spicy ginger syrup, and a sprinkle of black peppercorns, it will give your party a little (horse)kick. The most fun about the Derby is the horse betting (please bet responsibly!)! 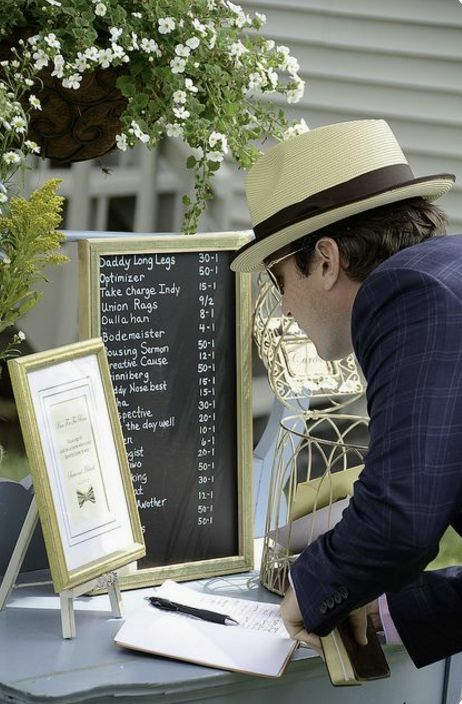 Set aside a little table section and write out the horses odds to have your guests place their bets throughout the day. Don’t let the horses be the only winners, have guests vote for best dressed or best hat using these fun Etsy printables. This is a total wow factor but think about how impressed your guests (and yourself!) 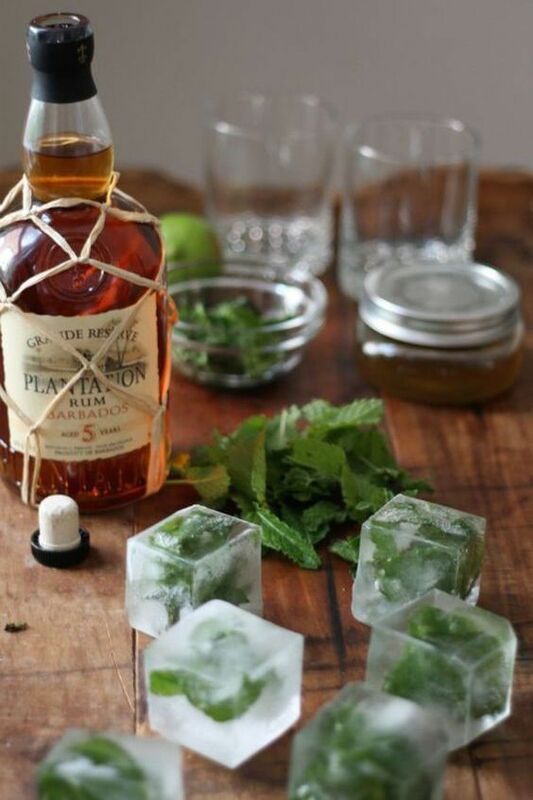 will be with these mint ice cubes to add to your Mint Juleps. Not only extremely refreshing, but a really pretty attention to detail. Have tips on how to throw a fun Kentucky Derby party? Let us know in the comments!